Immature planthoppers hanging out in a fungal growth under a log. 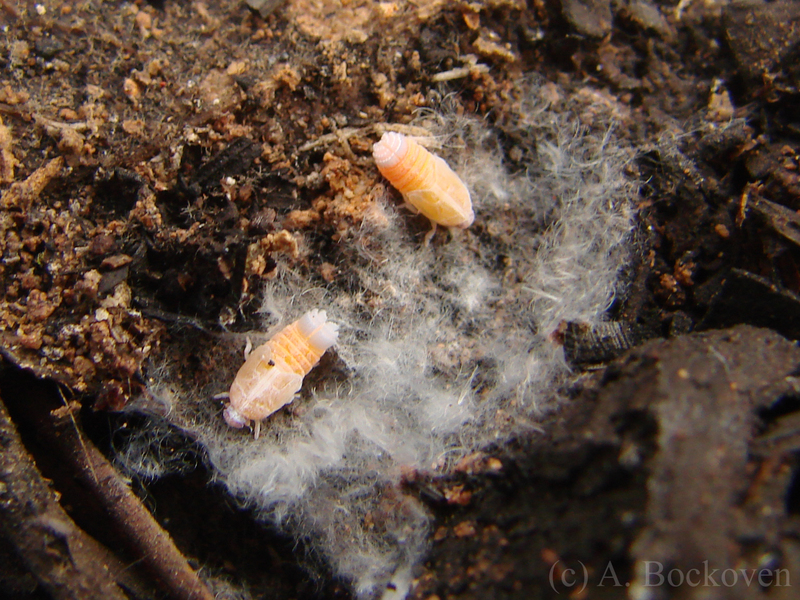 I found these brightly colored insects tucked under a log in Arizona, where they appeared to be feeding on a growth of fluffy white material–perhaps fungi or mold. These are immature planthoppers, members of the same group of tiny hopping green specks you sometimes run into in lawns or trees. This was, for me, a pretty surprising place to encounter a hopper, so I looked around to see what else I could find out about these little fellows. The lovely community over at BugGuide has tentatively identified these as members of the family Derbidae, based at least partially on the context I discovered them in. While adult derbid hoppers, like most planthoppers, are sap suckers, the nymphs of some species feed on fungi, particularly in rotten logs. Because these hoppers are immatures, their wings have not yet developed (you can see the developing wing buds on their backs). Adult derbids typically have long, delicate wings for hoppers. In fact, they are noted for gathering to perch under broad leaves, a behavior which may protect their fragile wings (U Del). 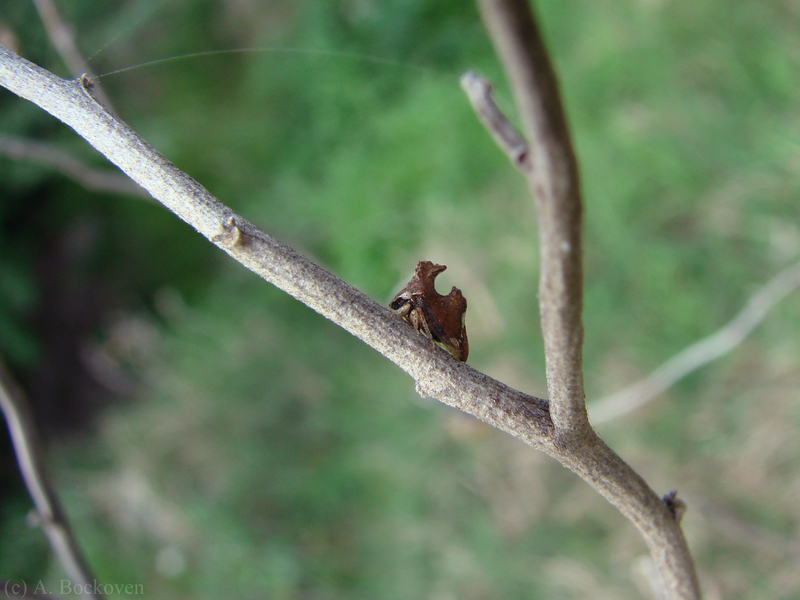 A thorn-mimicking treehopper on a branch (Membracidae). Membracids (commonly called treehoppers) are one of my favorite bugs–and one of the few smaller insects that I will consistently take the trouble of snagging for my collection. At the start of my journey into entomology I can recall being deeply impressed by some thorn-mimicking treehoppers pointed out to me on a branch. They look like thorns! They run around the branch and try to hide from you! They hop! What’s not to love? Oh, and a good number of membracid nymphs have mohawks. That’s pretty freaking adorable, right there. Variation in treehopper morphology (Photo credit: Prud’homme et al 2011). Not only are there thorn-mimics and brightly colored aposematic hoppers, but also feces and even ant-mimics. The treehoppers that look as if they have sprouted entire mutant ants from their back are some of my favorites. Now, I was taught that this structural diversity came from variations in the pronotum, but it turns out membracids are even more interesting than that. 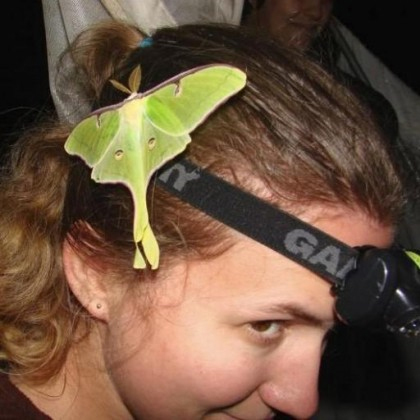 Recent research has provided evidence that the helmet structure is actually a novel appendage, entirely unique to the genus. This structure is apparently something like a modified third wing, the presence of which may be a result of mutations to the Hox gene complex. (This is the same group of regulatory/developmental genes that can cause mutant flies to sprout legs in the place of antennae and such.) A very cool example of evolution in action! Carpenter ants tending hopper nymphs in Argentina. Since we had the spittlebug nymphs earlier this week, I thought I’d take the opportunity to post a picture of some other hopper nymphs. These little guys are being watched over by several carpenter ant workers, who will collect their sugary excretions and protect them from predators. A casual observer might confuse these with mealybugs due to their white, somewhat waxy appearance and their location feeding en masse on a plant stem. (This casual observer would in no way be me. Nope.) However mealybugs, like scales, have reduced appendages and secondarily lost wings. A close look at these guys will reveal not only well developed legs peeking out, but the presence of small, developing wing buds on their backs, indicating that they are late stage nymphs (immature insects). In fact, that dark shape near the middle left of the mass appears to be an adult thorn-mimicking treehopper, making it likely that these are members of the auchenorrhynchan family Membracidae. 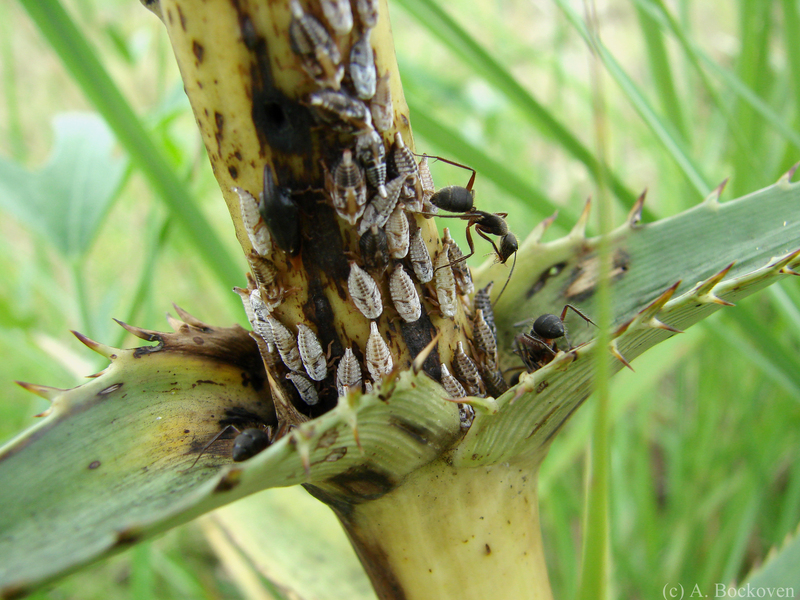 Spittlebug nymphs on a plant stem. 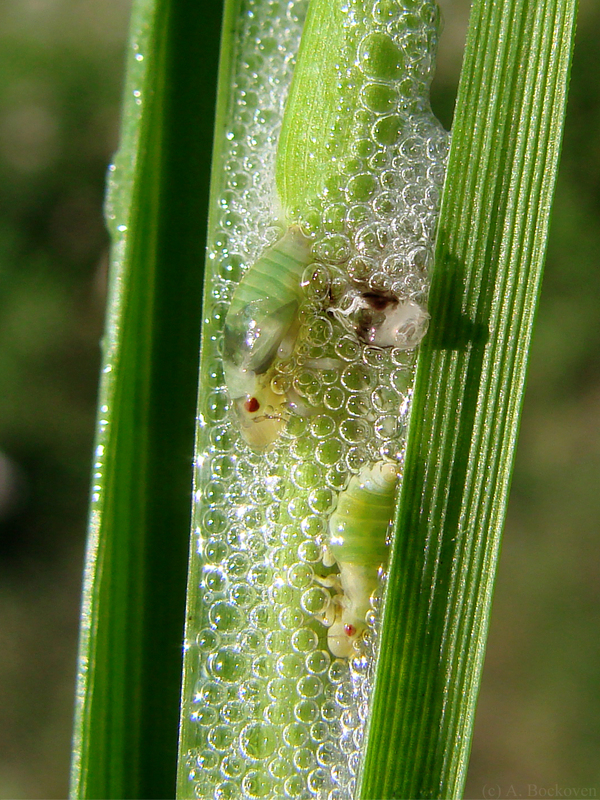 Spittlebugs lay their eggs on plant stems. 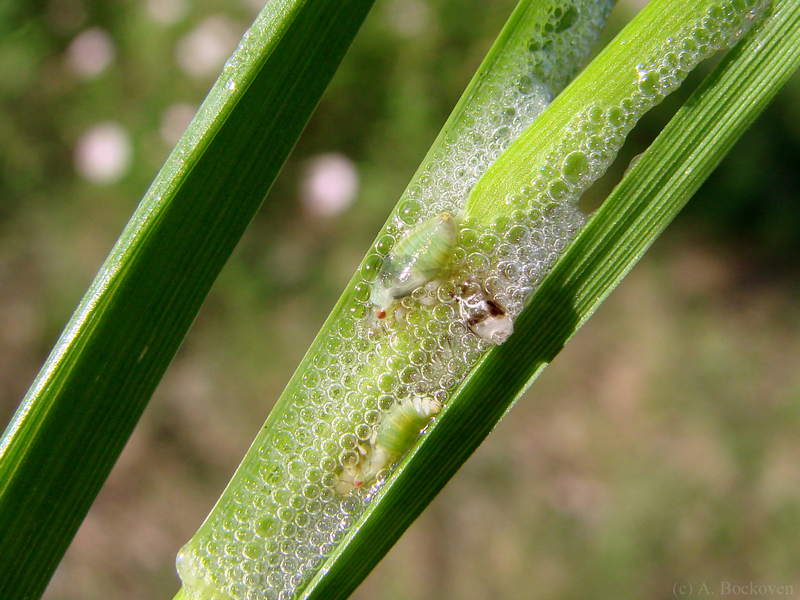 The young spittlebugs excrete special fluids which they whip into a foamy mass around themselves (in the above image some of this foam has been wiped away). This ‘spittle’ serves to protect the nymphs from predators as they develop, feeding on plant fluids. They grow and molt several times (one of the cast off skins can be observed in the above picture), finally leaving the spittle mass after the last molting into their adult form. Some predatory insects lurk by spittle masses, patiently awaiting the emergence of the insects. 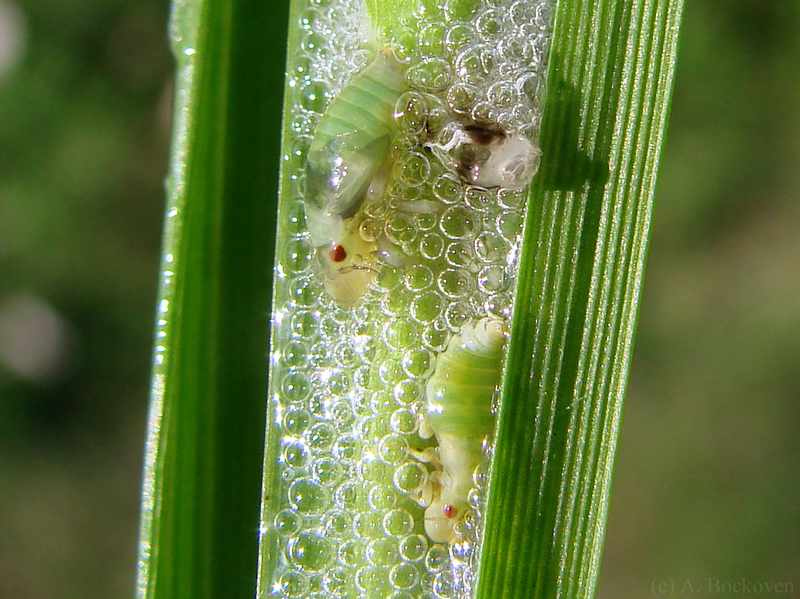 Spittlebugs may live alone or in groups, and the nymphs sometimes leave their own spittle masses to find a new spot or join other spittle masses. Spittlebugs (family Cercopidae) are in the hemipteran suborder Auchenorrhyncha, and thus are related to leafhoppers, treehoppers, and even cicadas. The adult insects resemble broad and stout-bodied leafhoppers, and are sometimes called froghoppers due to their somewhat frog-like appearance. A damselfly with captured leafhopper. Found this damselfly in Argentina, munching on a tiny leafhopper. 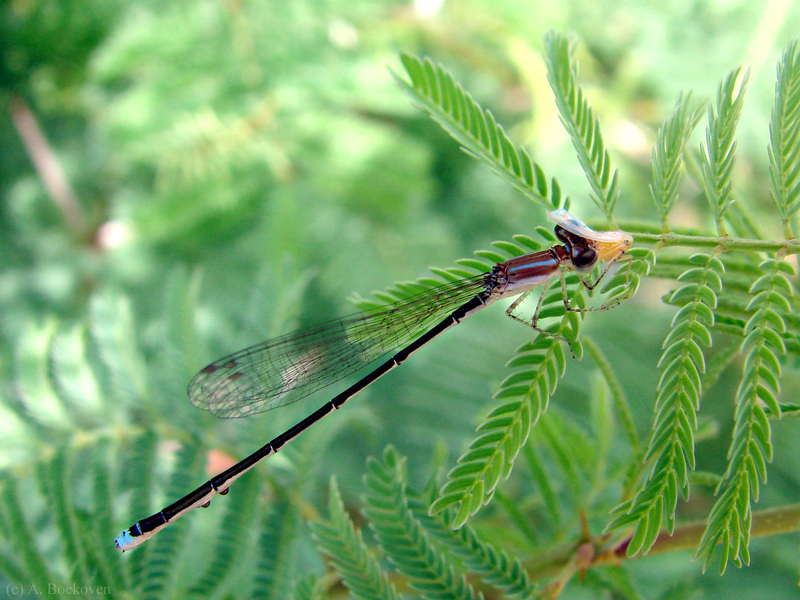 Damselflies (Odonata, suborder Zygoptera: “paired wings”) can be distinguished from dragonflies by the shape of their hind wings, which are similar to their forewings, narrowing at the base like a petal. Dragonflies (Odonata, suborder Anisoptera: “unequal wings”) have a hind wing with a broad, lobed base. Additionally, as their names would suggest, dragonflies tend to be larger, and thick-bodied, while damselflies and small and slender. Both dragonflies and damselflies are agile predators, snatching flying prey out of the air. Damselflies have a special adaptation for this. They use their forward angled legs to form a ‘basket’. Long bristles on the legs complete this structure, allowing the damselfly to sieve prey from the air. Once caught in the ‘basket,’ the prey is then transferred to the jaws of the damselfly. In this case, the damselfly has caught a leafhopper, family Cicadellidae. A close look will reveal that this family tends to resemble tiny hopping cicadas, a relative in the hemipteran suborder Auchenorrhyncha.